22 associations including CIBE have co-signed a joint letter that expressed common views following the EU Court Ruling on Mutagenesis. At a crucial turning point regarding the sustainability of sugar beet growing and in an unprecedented EU sugar market crisis, with sugar and beet prices at record lows, the CIBE President Eric Lainé highlighted to the High Level Group on Sugar today the 3 major challenges that sugar beet growers have to face: productivity & competitiveness, resilience and adjustment to markets. 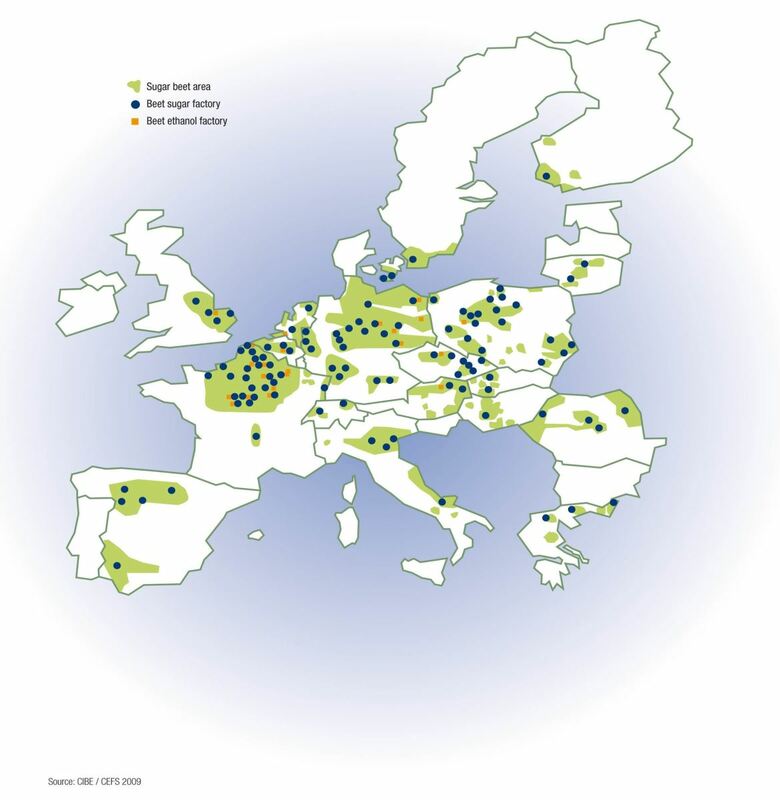 In October 2013, the European Beet Growers (CIBE), sugar producers (CEFS) and trade unions of the food and agriculture sector (EFFAT) have formalised a landmark agreement to jointly highlight and report on representative Good Practices of sustainable production of beet sugar in the EU. In line with the Europe 2020 strategy for a ‘smarter, more sustainable and more inclusive growth’ for the EU, the partnership agreement aims to highlight and facilitate further the dissemination good agricultural, industrial, social and environmental practices in the sector, while taking into account the relevant elements of economic sustainability providing stable and reliable beet sugar production in the EU. 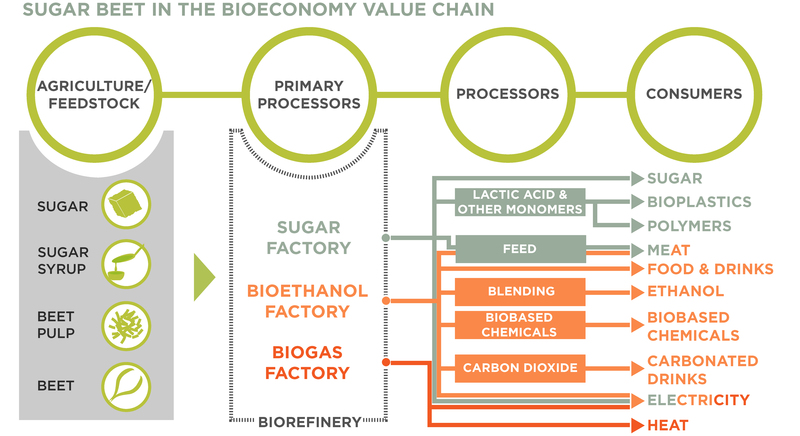 CIBE takes part in the AgroCycle project, a Sino-EU collaborative research venture, funded by the European Commission under its Horizon 2020 programme to create a protocol for the implementation of the 'circular economy' across the agri-food sector. 1 - Does neonicotinoid seed treatment in sugar beet endanger non-target organisms (including pollinators) and the environment? 2 - Has neonicotinoid seed treatment a low environmental impact compared to post-emergence spraying? 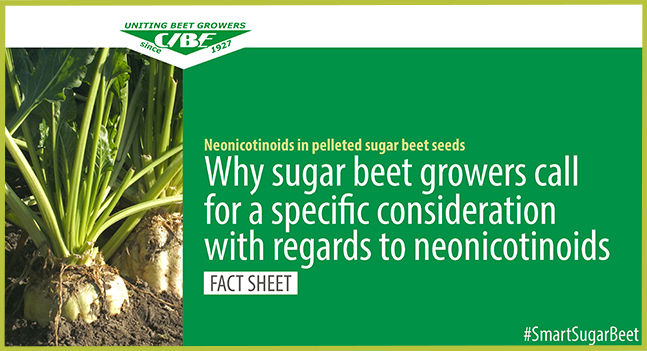 3 - Is there currently a sustainable alternative to neonicotinoid seed treatment in sugar beet? 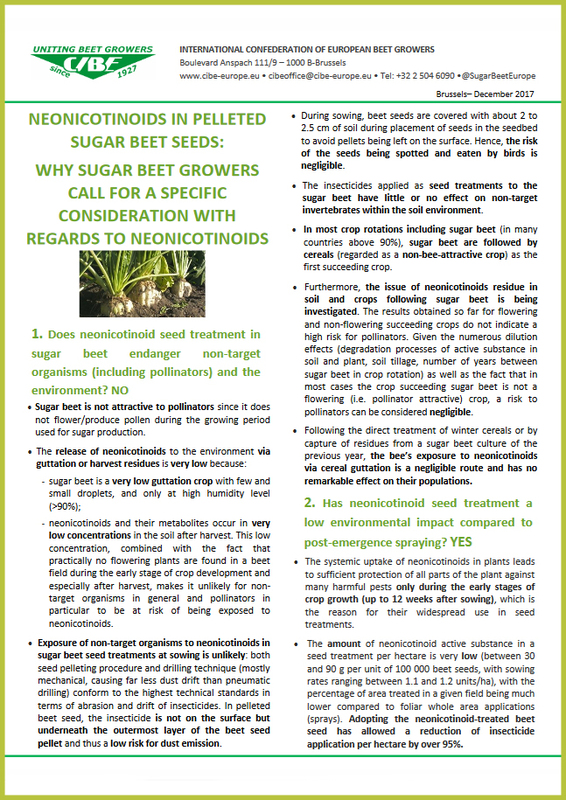 4 - Would a ban of neonicotinoid seed treatment in sugar beet jeopardize sugar beet production in Europe? Das von der Europäischen Union heute beschlossene Verbot des Einsatzes von Neonicotinoiden auch als Beizwirkstoff trifft den Zuckerrübenanbau in gravierendem Maße. „Damit nimmt man uns künftig die Möglichkeit eines besonders gezielten Pflanzenschutzes. Der Biodiversität hilft diese Entscheidung nicht. Nun zwingt man uns wieder zu wiederholten Flächenapplikationen“, so Bernhard Conzen, Vorsitzender des Rheinischen Rübenbauer-Verbandes (RRV). Künftig dürfen keine neonicotinoiden Wirkstoffe mehr im Freiland verwendet werden. Dies hat die EU-Kommission in ihrer heutigen Sitzung beschlossen. Damit fehlen künftig wichtige Wirkstoffe für die Beizausstattung von Zuckerrübensaatgut. 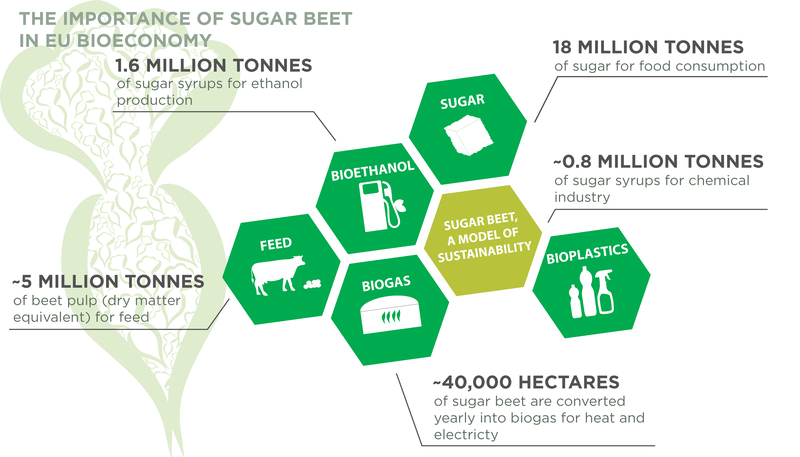 The 300,00 sugar beet growers represented by CIBE produce on average just under 20 million tonnes of white sugar per year from around 2 million hectares, intended mainly for the 600 million inhabitants of the CIBE member countries. 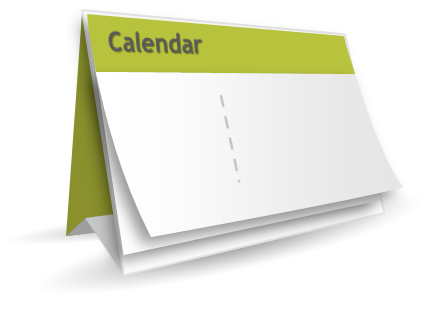 Throughtout the year, CIBE organise meetings, such as General Assembly or Congress which allow to share information between its Members and discuss several topics. CIBE's Staff also attends several external events.